We are delighted to announce that REVIV Cyprus is now open and offering the great and the good of Nicosia and its surrounding areas the very latest in IV therapies and booster shots. REVIV Global’s well-travelled Commercial Director, Julia Couzens and lead training Doctor, Dr Michael Barnish, have spent much of 2017 travelling the world, helping REVIV’s brand new Flagship and Express clinics launch successfully. Their implementation support for the new REVIV teams at each launch ensures all our team members are providing clients with a consistent level of service, in accordance with our brand values of excellence, accessibility and professionalism. Recently, they travelled to the beautiful city of Nicosia in Cyprus to assist in the launch of REVIV Cyprus. 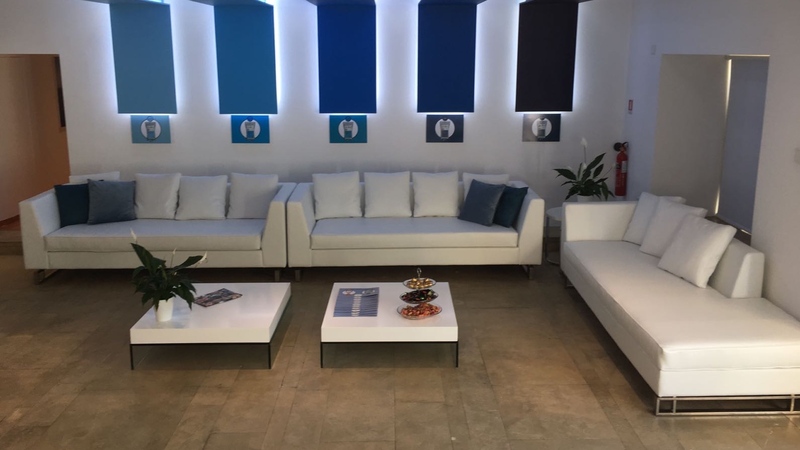 There is a brand feel and look that exists across all Flagship clinics and is even carried through to our Express clinics, but if there was an award for the most beautiful clinic, according to our Commercial Director, Julia Couzens, it would go to REVIV Cyprus. The training went incredibly well, with the new team showing its professionalism and enthusiasm at every stage, in particular the hands-on experience of administering the full range of REVIV’s IV therapies, as well as our hugely successful booster shots: Vitamin B12, Slimboost, CoQ10+ and Glutathione. The launch itself was a huge success with the VIP party spilling out from the stunning Flagship clinic and out on to the busy streets of Nicosia, where Julia successfully delivered a prepared speech to the expectant guests. Nicosia is a city whose architecture, people and culture were as beautiful as its weather. And it was full of surprises; from the 30-dish mezee featuring local delicacies like snails and livers to discovering that REVIV Cyprus is (arguably) the most beautiful clinic REVIV Global has ever opened. Stumbling across a militarized border separating the north of the city from the south also proved to be a bit of a surprise to our well-travelled implementation team, though we have been assured that any surprise or apprehension was well-hidden behind a very professional British stiff upper lip. Nothing about the city of Nicosia or REVIV’s new flagship clinic was average. Everything was beautiful and thrilling. REVIV Cyprus – we expect wonderful things following your dazzling launch. We look forward to hearing how the good people of Nicosia are enjoying REVIV’s IV Therapies and vitamin and nutrient injections by our new, enthusiastic expert REVIV team.